This feature is meant to be used when you want to provide discount on bulk purchase of similar variation of different products. For instance: You sell garments and naturally each of your product has different variation for Size. Let’s say, each of your product has the following Sizes: XS, S, M, L, XL. Now, you can provide discounts to a customer if he purchases more than 3 items and each of the three item is of size “L”. The underlying reason might be that you would like to clear “L” stock which is currently in surplus. Now, let’s see how you can achieve this. 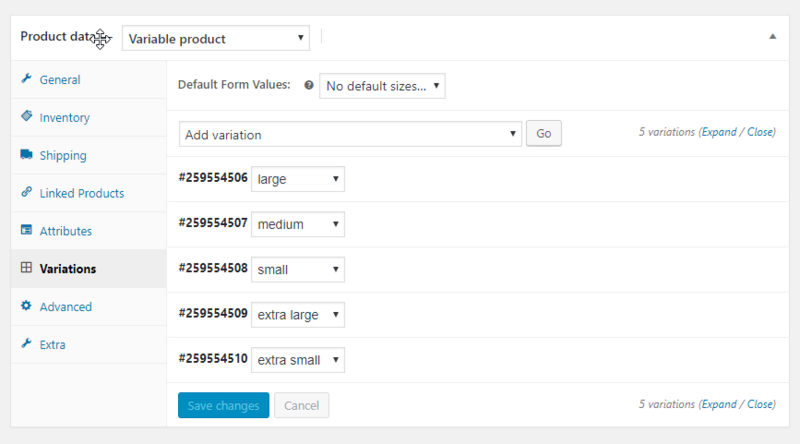 Once you have added attributes in Products –> Attributes and created Attribute values, go to the specific “Variable Product” and select the “sizes” attribute. Then generate variations of all the attribute values. 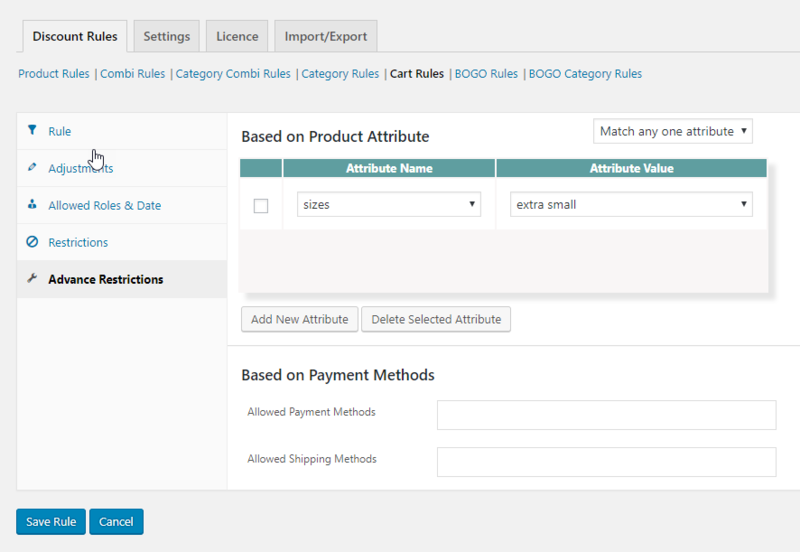 Now that you have the variable product ready, go to “Cart Rules” of Dynamic Pricing. In “Advanced Restrictions” you can find the options to select attributes. Just below the “Discount based on Attributes”, you can see the option to select a Payment method from among the payment methods you have in your store. Discount based on payment method is one of the most important requirement for store owners mainly because every payment gateway plugin/service comes at a different cost. And secondly, a store owner might want to charge more for COD. When you give discount based on Payment method, the discount would be applied in the checkout page when the customer selects his Payment option. Next is the discount based on shipping method. You might need this option if you want to attach some advantage on particular shipping service(s). For instance, you might have configured your site to have both DHL and USPS shipping services, but for some reason you might prefer shipping via DHL. In that case you can lure your customer to select DHL shipping method by giving them special discount for that. Let us know in the comment section how these new features have helped you!